Whether you start out from Blue Hill or Deer Isle – or some other place in between – your drive to Castine will take you through some of the most beautiful parts of this area. Wherever you begin, you’ll head in the direction of Penobscot on Route 175 (check a larger map if you aren’t sure where that is!). Continue on past Penobscot, following signs for Castine anywhere there’s a junction choice. Keep an eye out for Smalling-Finsen Gallery and Studio about a half mile further on the left side of the road. Walter Smalling paints beautiful landscapes, while sisters Susan and Jill Finsen fill their somewhat abstract canvasses with vibrant color. Stop in and let them know you saw them in Arts Guide! Continue on – watching for Castine signs at a couple of junctions, after 5 or so miles watch for a sign on your right for Dolphin Books and Prints – a good stopping point for book and print lovers. Just before you get to Castine, you’ll come to the crest of a hill and below is one of the prettiest little bays you could hope to see. There’s a sign where the road crosses over the water that identifies it as The British Canal – dating to Revolutionary times. 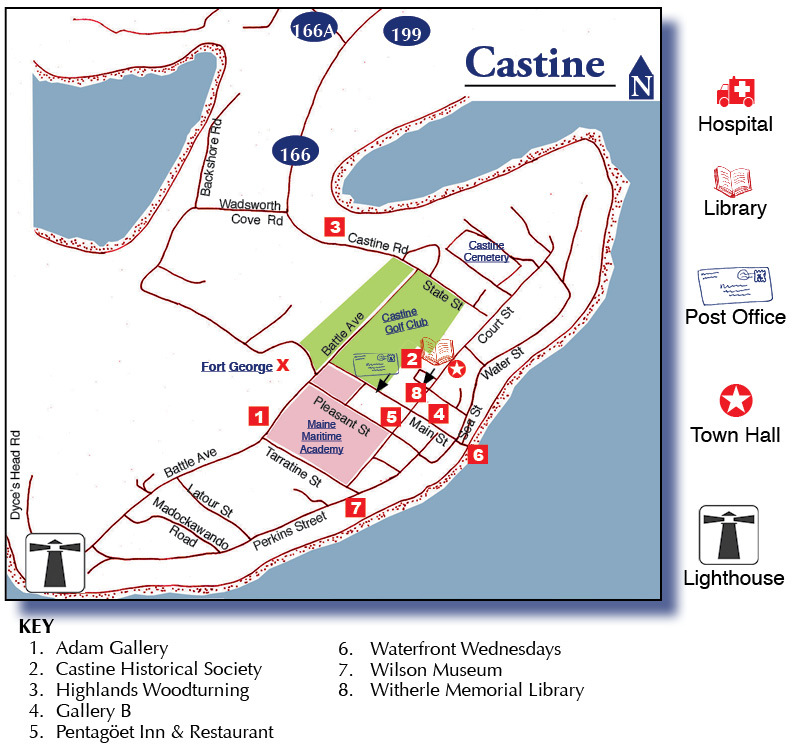 Castine takes great pride in its strategic position during the Revolution, and you’ll find signs all over town marking different events from colonial times. I encourage you to walk around town, check them out, and have fun learning some history. After the British Canal, you’ll drive uphill. Just before the road bears right turn in on the left and visit Highlands Woodturning. After that stop, as the road curves right and bisects Castine’s beautiful golf course watch out for golf carts and errant balls! You are now on Battle Avenue (remember that history folks!). Take the first left onto Main Street and get ready for the quintessential colonial Maine town. Castine’s seafaring history is evident in its homes, and the town is proud to say that they still have 350 of their original elm trees — quite an accomplishment! Take your time and appreciate the shady Main Street, the stately old homes – the feel of this beautiful town – before you reach the end of Main Street and find a parking space. Park on Main St, or in the waterfront parking lot. If you arrive at lunchtime, you may want to refuel before you walk around town. There are several choices, depending on what and how you want to eat. For a perfect, sit-down lunch by the water, there’s Dennett’s Wharf. A longtime fixture in town, Dennett’s has inside and outside seating. If the weather is favorable, I’d opt for the deck. They have a great selection of Maine micro brewed beers including their own Wharf Rat Ale as well as a full menu from burgers and fish sandwiches to complete meals. On the waterfront, look for the bright yellow awning! Danny Murphy’s Pub, located next to Dennett’s also serves lunch and dinner, as well as being the place to go in town for pizza and beer for many years. If you want to hang out with the locals, this is the place to do it. Check out Dudley’s Refresher–new this summer on the dock–see sidebar>. At the corner of Main and Water Streets, the Castine Variety, has its original 1920 ice cream counter still in place. Stop in and sit down for coffee or a bite to eat, including breakfast and lunch specials, lobster and crab rolls. Across the street, T&C Grocery offers lunch and pizza to go, gas for the car, and groceries. They added The Taproom last year offering casual fare and live entertainment! Walking up Main Street a little, there’s MarKel’s Bakehouse – tucked up a short alley on the right. MarKel’s offers excellent soups, sandwiches, and light fare in a deli setting, with tables inside and out. There’s also Compass Rose – yes! that’s right. Their bookstore café offerings include their famous cookies to enjoy with great coffees, cappuccino, teas, or chai, and (usually) light lunch items including homemade soups and sandwiches. Now that you are fed and ready to go, let’s get walking. Castine is so picturesque and so filled with history, that you may have trouble deciding where to go first. Let’s begin on Main Street. Stop in at Compass Rose Bookstore, an independent bookseller in this same location for many years. I love supporting these great independent bookstores. Four Flags, a unique gift shop on Water Street, offers a diverse collection of gifts made in Maine and from around the world. Check out Lucky Hill, owned by husband and wife team Dan Graziano and Kristen Blanck. They operate as a gallery for Dan’s beautiful original paintings and have a wonderful assortment of gifts. A great addition to Castine and definitely worth checking out. SaraSara’s (women’s clothing with locations in Blue Hill and Gardiner as well) is located at 1 Main Street, below Camden National Bank. Continuing up Main Street, start off with Gallery B (next door to Compass Rose Books), a contemporary fine arts gallery featuring sculpture, paintings, jewelry, tiles, pottery, art quilts, and photography by several regional artists. Across the street, in the Pentagöet Inn, you’ll find Birdsong, a charming space offering vintage inspired gifts, antiques, and just plain “whimsy” – and not to be missed! Pentagöet’s restaurant is a wonderful place for dinner after an afternoon ramble – or anytime for that matter! 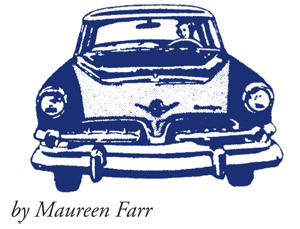 Going further up Main Street – past the beautiful Castine Inn – you’ll see the Post Office on your right. It’s seen over 175 years of continuous service, and I think it boasts being the oldest post office in the country. Beyond the post office, you’ll come to Leila Day’s Antiques and Gallery, located in the historic Parson Mason House, offering formal and country antiques, Chinese porcelain, paintings, nautical accessories, and folk art. Continue up to Battle Avenue, take a left, and walk a couple of shady blocks to the Adam Gallery (140 Battle Avenue) on your right. Husband and wife artists Josh and Susan Parrish Adam both do fabulous paintings in oils. If their green flag is out, they say they’re open, so come on in. The gallery is housed in a beautiful carriage house behind their house. After the Adam Gallery, take Tarratine Street – directly across the road – and head down to Perkins Street to the Wilson Museum. Located in a brick building right on the water, it’s hard to miss. Featuring anthropology, geology, and history of the area around Castine, the Museum also has a Blacksmith Shop on the grounds. The blacksmith shop is open Sundays and Wednesdays from 2-5PM in July and August, providing demos and information. An interesting stop for those history buffs in the group. 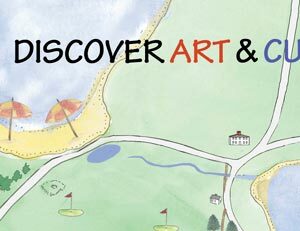 After the Wilson Museum, continue exploring – there’s lots to see. Walk over to the historic town common to the Castine Historical Society – located in the 1859 Abbott School – with a permanent exhibit on the ill-fated Penobscot Expedition of 1779 as well as seasonal exhibits that highlight other significant aspects of the town’s extraordinary past. Don’t miss the Castine Community Bicentennial Quilt. The Historical Society also sponsors periodic programs and lectures, as well as not-to-be-missed benefit events such as the bi-annual Art Show and Sale. There is even a small gift shop featuring artwork, gifts, Sea Bags, and books with a local historical flair. 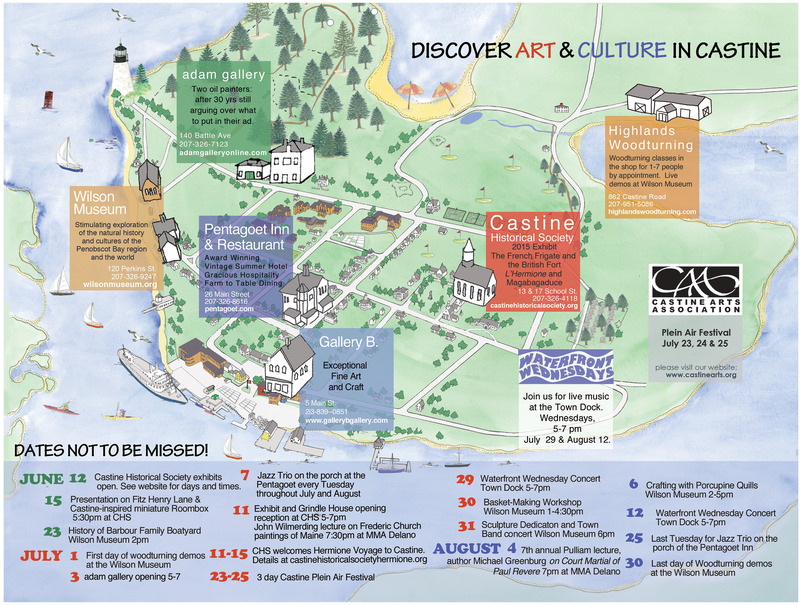 The Castine Historical Society exhibits and Gift Shop are open seven days a week in July and August, and on a more limited schedule in June and after Labor Day; researchers can schedule appointments with the Curator year-round. On the opposite corner of the town common (also called the town “green”) sits the Witherle Memorial Library in a Beaux-Arts Style building circa 1913. This is a wonderful place to pick up a walking map of the town, use their free Wi-Fi and look at the wonderful paintings and architectural details around the building. If you are staying for some time, get a library card to take full advantage of the myriad of services and programs this busy little library offers. Open six days a week (closed Sundays). Along the way, watch for those historical marker signs – offering fascinating glimpses into the history of Castine – sometimes gruesome, but always interesting. Anyone for the Farmer’s Market? Every Thursday on the Town Common in June, July, and August from 9-11:30 AM, you can go to Castine’s Farmer’s Market, offering locally-grown vegetables, fruits, and more. The folks at Castine Kayak Adventures offer naturalist ecotours, exploring marine sea life, geology and Castine’s rich historical past. In addition to top of the line equipment; personalized instruction and customized trip planning; sunrise, morning, afternoon, and sunset, full moon trips and overnight tours; they offer what would be my ideal – bioluminescent night tours! Imagine watching the phosphorescence swirl away from your paddle in the dark! The Manor Inn on Battle Avenue offers a pub and restaurant with international cuisine. The Tap Room and Dennett’s Wharf (mentioned earlier at lunch) are both open evenings for dinner as well. Click here to see a two page spread of the town, with advertisers’ locations.